Featuring 120 riders on horseback, this year’s floral parade begins at 9 a.m. in Historic Kailua Village. 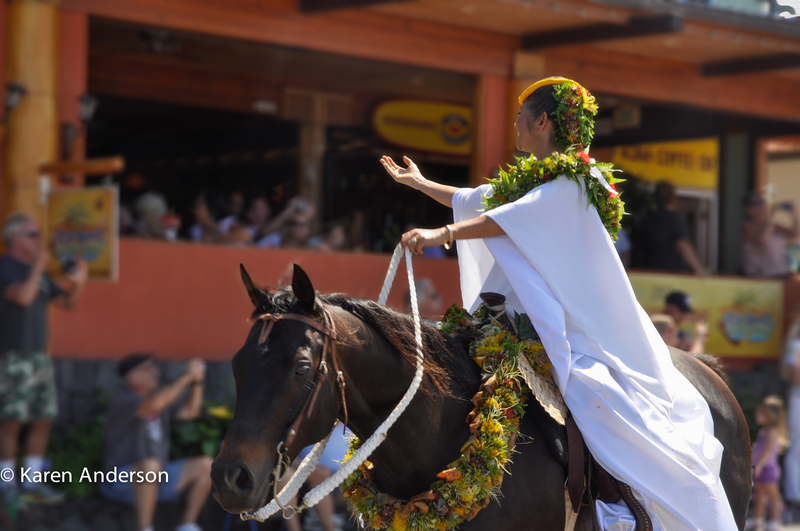 Beautiful p‘au equestrian units will represent the eight Hawaiian Islands, led by this year’s pa‘u queen, Moana Kumu. The parade travels down Ali‘i Drive from Royal Kona Resort past Hulihe‘e Palace and Kailua Pier, up Palani Road to Kuakini Highway. Come one, come all!